We take pride in our quality workmanship and outstanding service. 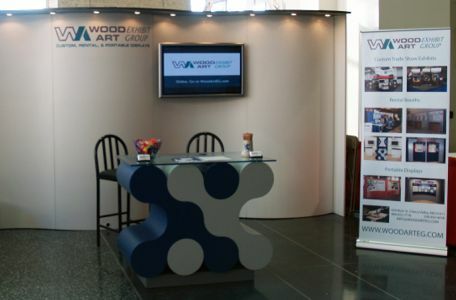 Total customer satisfaction and teamwork make us your best choice for stunning exhibit displays. 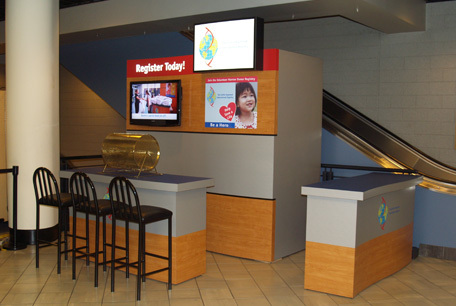 Our superior staff of technicians will produce a distinctive, high quality, fully customized exhibit display that is sure to catch and hold the attention of your visitors. 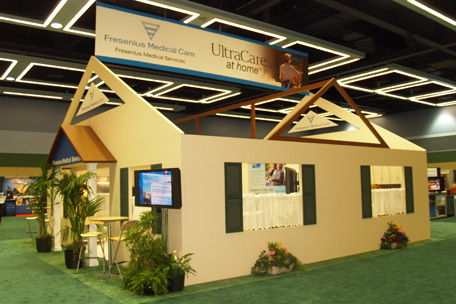 We offer a full line of lightweight modular, pop up, and portable trade show displays to suit smaller requirements. These portables make a huge impact and are easy to setup. Many modular, pre-owned, and portable booths are available to rent. These are customizable to accommodate any of your company's marketing requirements. 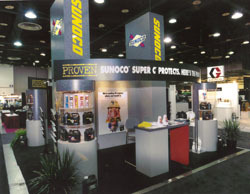 We are a full service exhibit provider and marketing specialist group. Our mission is to provide high quality exhibiting solutions that meet specific marketing objectives and budget criteria specified by our clients. 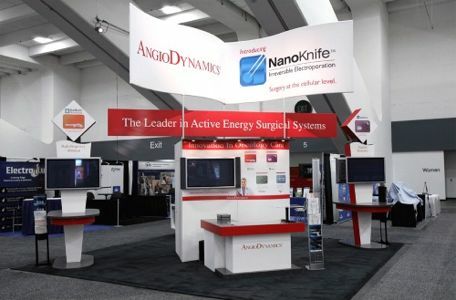 We manufacture and refurbish custom displays and offer exhibit design assistance and general consultation as required. We work from the beginning stages of a project, keeping open lines of communication through to completion. Our philosophy guarantees support for our clients on a cost effective basis of whether they utilize one product or a full range of service offerings. We develop our projects using the latest computer assisted means. Clear, accurate and concise CAD floor plans and a perspective exhibit design are communicated to the customer and then transformed into award winning trade show exhibits. 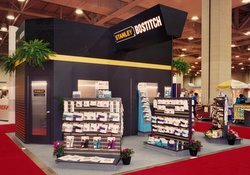 With over 40 years experience in the industry, you can count on us to produce an incredible display that will leave a lasting impression on your visitors.